In 1929, Ford sold 1,507,132 cars. Chevrolet sold 1,328,605. Then came the stock market crash. Sales dropped dramatically each year until 1932, when sales bottomed at 210,824 for Ford and 313,404 for Chevrolet. But, during that time, a small new market came on stream for the two foremost budget brands—the rich. Although literally millions of people were hit very hard by the crash, those who had invested wisely retained their wealth. Those who steered clear of the stock market bubble and/or invested in assets that would survive the crash, such as precious metals, were able to continue to live well. However, they did find that when they drove down the street in their luxury cars, they stood out and became the objects of anger and scorn. This is an important trait in human nature to recognize—that those who have been reckless with their money and have ended up losing it tend to hate those who were not reckless and have retained their wealth. Perhaps, observing someone who behaved responsibly is a regular reminder that they behaved stupidly. Whatever the psychology involved, in 1930, those who had fared well soon learned that it was unwise to be conspicuous in their continued wealth. At that point, an interesting but little-remembered development occurred. Such people put their mink coats in the closet, put their jewellery in a safe place and, most importantly, found barns in the countryside into which they could park their Duesenbergs, Cords, and Auburns. It’s likely that they intended to retrieve the luxury cars once the economy recovered. However, a collectivist government under President Franklin Roosevelt protracted the depression by implementing extensive legislation and policies to “help the common man.” Unfortunately, those actions crippled the business community, turning what might have been a normal two-year depression into one that lasted sixteen years. During that time, those who had mothballed their luxury cars bought inexpensive cars such as Fords and Chevrolets in order to be less conspicuous. Along the way, chauffeurs became a thing of the past. They were more affordable than ever, but far too conspicuous to even consider employing. The $100 billion marijuana industry is dominated by penny stocks… With legalization sweeping the country, these penny stocks have already begun skyrocketing in price… Take action TODAY and you have a once-in-a-generation opportunity to turn a tiny $50 investment into an absolute fortune. Click here to find out how. In the end, most of the Deusies remained in the barns until after the war, when the prosperity of the 1950s made them once again popular—this time as collector cars. Today, a restored Duesenberg can be sold at auction for as much as $10 million, but there was a 25-year drought during which no one would be seen driving them. They became a dead loss for their original owners. But what we’re discussing here is a mere symptom of those times. Of what value is that to us today? Well, many readers of this publication will be aware that the world is once again facing a financial crisis—one that will far exceed the Great Depression in its magnitude. It will be more devastating and will last longer than the previous debacle, and it will once again be unwise to be seen driving a Deusie. And so, we prepare ourselves by moving a significant amount of our holdings into precious metals. If we’ve been paying attention, we’ve figured out that the banks are likely to confiscate our deposits and empty our safe deposit boxes. We will have stored the bulk in a storage facility that is not a financial institution, plus we will now have some sort of safe at home where we keep an emergency supply—perhaps of silver rounds—that we may use after a crash. We’ve reasoned correctly that, if and when the currency collapses, we’ll still be able to buy groceries and fuel for the car each week by handing over a silver Ajax or two. So, we’ve prepared ourselves… Well, not quite. Trouble is, we’ll be observed making our purchases. If the crisis period were to last a few weeks, we’d have no problem. However, after only a few months of a period in which people have little or no real currency (as is always the case after a currency collapse), our neighbours will take note that the one guy in the community who is regularly seen walking to his car with bags of groceries, or parked in the otherwise empty filling station having his tank topped up, is us. Even if we’re driving a Toyota instead of a Mercedes, eyebrows will be raised, and, after the word gets out that we’ve somehow survived intact, resentment will build against us. It will be at that time that we’ll wish we’d gotten rid of all our luxury associated assets, then gotten the proceeds out of the country—away from those who will resent our ownership of some form of currency. We may have stored wealth, but it will become a liability rather than a safety net. We may get on just fine with our neighbours right now, but when their families are eating dog food for dinner due to their greatly diminished buying power, we’ll most assuredly be hated by them. At this point, it’s likely to become clear that being the last guy with currency in a neighbourhood that has lost its currency is not an enviable position to be in. If we then try to make a run for it, we’ll find that the rules of the world that existed just a short while ago have been rewritten. First, we’ll find that currency controls are now in place and our home country, having crashed, disallows the flight of wealth from its shores. We can only remove our wealth by becoming criminals. In addition, we’ll find that, although the numbers leaving our home country were small prior to the crisis, those numbers have now swelled dramatically and target countries, where the economies are faring better, are closing their doors to economic refugees. It’s a basic socio-economic principle that, during hard times, those who have not been responsible will come after those who have. Therefore, it’s not enough to merely retain wealth; it’s also essential to have both that wealth and ourselves in a jurisdiction that has been minimally impacted by the crisis. We are now entering the latter stages of the Great Unraveling and are about to see the first of the major economic dominoes topple. At that point, conditions will get ugly. When that point arrives, it will be essential to have already expatriated the great majority of our wealth (no matter how small or large it may be) to a safer jurisdiction—one where we might openly pay for groceries with an Ajax or two—and to have made arrangements for a residence there, to which we can travel on short notice. Of this we can be certain: When the major dominoes begin to fall, there will be little or no warning, and there will not be sufficient time to begin formulating an exit strategy. In actual fact, if the reader is the possessor of the equivalent of a Duesenberg, now would be the time to sell it off quickly and lease a temporary car. It would also be the time to take all equity out of the house and other assets and get the proceeds expatriated. Retain nothing that you can’t walk away from quickly. Begin now to prepare for the next phase of your life and be ready to move. If, by some magic, all of the present indicators of a coming crisis reverse themselves and your home country becomes both solvent and prosperous once again, you will have done nothing but create a position of freedom for yourself—one out of which you could reverse. However, if a crisis is as inevitable as all the indicators suggest, survival will depend upon the preparation that you create now. 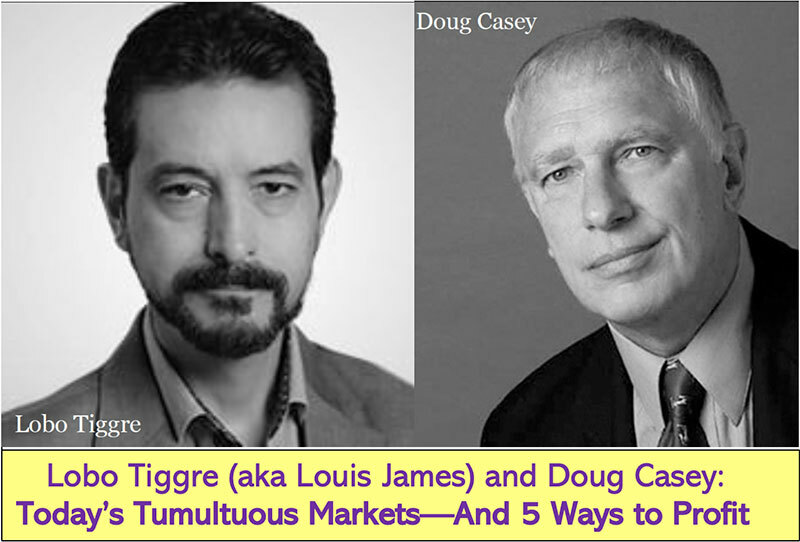 Editor’s Note: To get New York Times best-selling author Doug Casey’s take on the Great Unraveling… and the Greater Depression set to follow on its heels Click here. President Trump’s first 100 days in office will quickly and radically change the world in ways you haven’t anticipated and haven’t prepared for. Many will wind up broke—but this short window could be your chance to make a life-changing fortune. 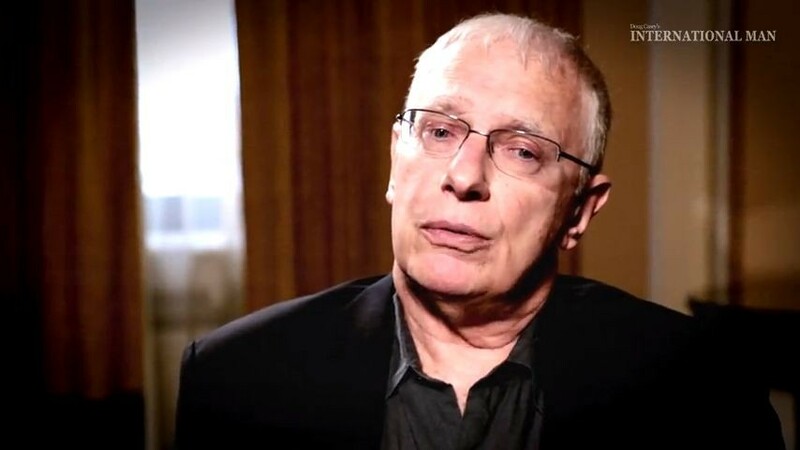 Find out all the details in this urgent, just-released video from New York Times bestselling author Doug Casey. Doug’s groundbreaking presentation won’t be available for long. Click here to watch it now.